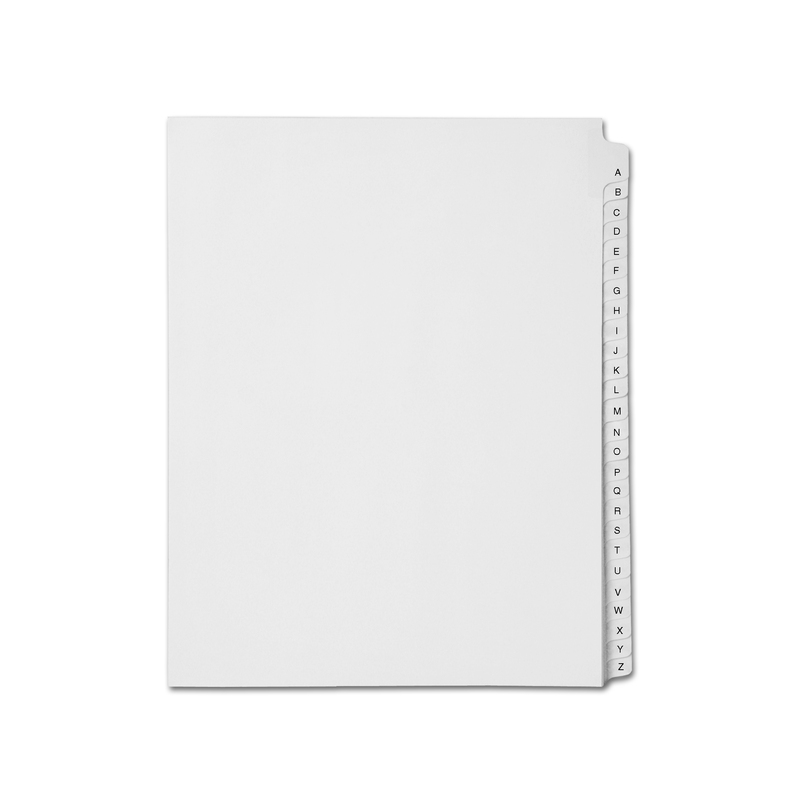 Used to organize mortgage documents, index briefs and other legal files. Each tab features tear-proof mylar and is pre-printed on both sides using Helvetica Regular type font. 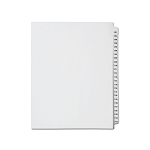 The left edge of each divider is unpunched so you can use with any binding system.